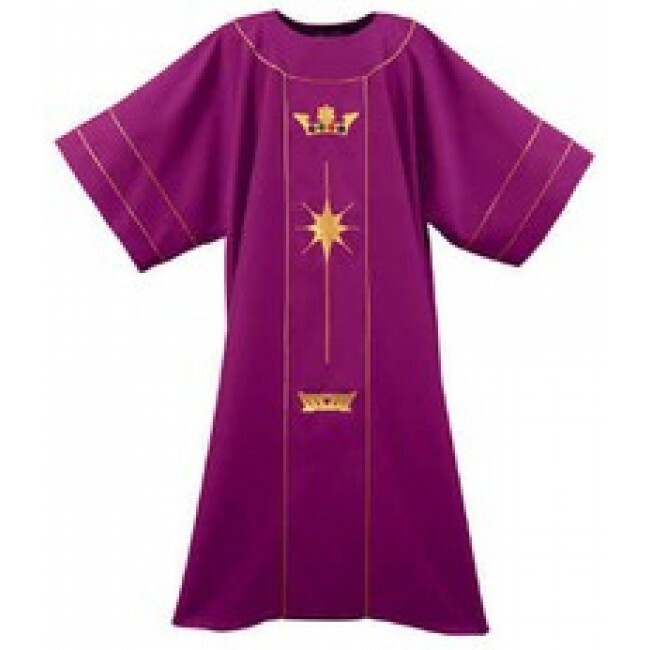 Christmas Crib, Crown and Star on Purple Dalmatic with halo collar. Christmas Crib symbolizing birth, Crown-Christ the King and Messiah, which literally means "the anointed one", and Star of Bethlehem decorates this beautiful dalmatic. Available in all liturgical colors. Design of Christmas symbols available on front only or design on front and back. Specify when choosing color and front or back design.